You can now play Resident Evil 7: The Beginning Hour. The Resident Evil 7 demo, The Beginning Hour, is available now on Steam. It’s important to note that it has its own spot in the store and may not be accessible on Resident Evil 7’s page. 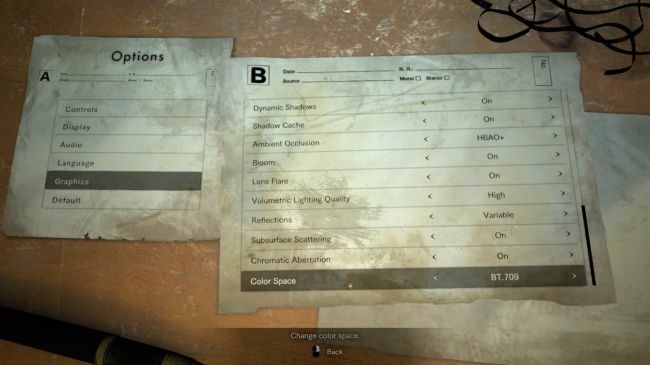 As you can see in the picture above, the graphics options have been revealed prior to the demo’s release, and thanks to NeoGAF user Dusk Golem, we know exactly what the various options will consist of. It’s important to note that Bacon has announced that Borderless Window is unavailable for the demo due to a bug. He says that it will, however, be enabled in the full game. Guns Of Icarus With PieCake Here. Christmas Video!! !